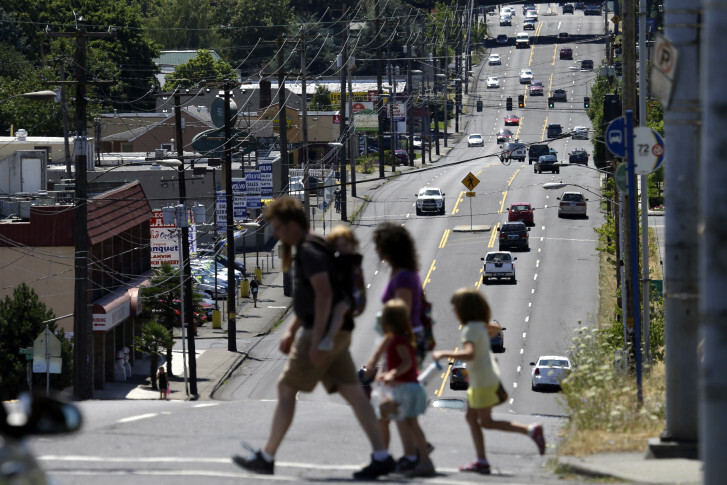 WASHINGTON — The number of traffic fatalities involving pedestrians has increased nationwide, according to a new report from the Governors Highway Safety Association. According to the report, 4,735 pedestrians were killed in 2013, the most recent full year of data available. The number represents a 15 percent jump in pedestrian fatalities since 2009. Or to think of it another way: One pedestrian is killed every two hours. GHSA Executive Director Jonathan Adkins, who oversaw the development of the report, said states were coming up with program to “ensure the safety of all roadway users. “But clearly more can be done to make travel on foot as safe as possible,” Adkins said. “Taking a comprehensive approach that includes education, engineering and enforcement is the best way to maximize limited resources and get results. More than 500 pedestrians killed nationwide were stranded motorists on a highway, construction workers, or emergency responders on the shoulder. Alcohol, speed and distractions also play a role in pedestrian crashes. Another growing factor in pedestrian crashes is distraction. Researchers are studying the prevalence of pedestrians distracted by cellphones and other electronic devices while walking. According to the report, people between 20 and 29 years old were most likely to be involved in a crash where someone was distracted. The report found that as many as 2 million injuries to pedestrians were related to distracted walking in 2010. “In 2012, a team at the University of Washington observed more than 1,100 pedestrians at 20 Seattle intersections and found that approximately one-third were engaged in a distracting activity such as emailing, talking to another person or listening to music,” the report states. In Maryland, work zone speed cameras are used because highway officials have noted the dangers for crews and engineers walking around. Pedestrian safety is cited as a top reason why speed cameras are so prevalent in the D.C. Unlike Maryland, police in D.C. can place a speed camera anywhere without restrictions, and those cameras can operate 24 hours a day, 365 days per year. Many cities are adopting what’s known as the Vision Zero Initiative, which aims to eliminate pedestrian and bicycle deaths. D.C. Mayor Muriel Bowser announced that the District would adopt a Vision Zero program, an effort to eliminate all traffic fatalities by 2024.